Alexander, seen here briefing guests at the ‘Road of Life’ Museum, was born and raised in Saint Petersburg and developed a deep interest in local history since his early school years. After graduating from the Saint Petersburg State University with a Degree in Political Science, he completed the Official Tour Guide training courses to enable him to take sightseeing tours around the beautiful city while at the same time he started designing and conducting his own tours on Military and Political History. Since 2009 Alexander has been leading tours on the Russian Revolution and the history of political assassinations in Saint Petersburg spanning the period from the 1860s through to the assassination of Kirov in 1934. Alexander’s great passion is the Great Patriotic War and the Siege of Leningrad and since 2010 he has been building up an extensive collection of old photos of the city during the Siege and he shares these with guests at the exact locations where they were originally taken to wonderfully illustrate the stories from this period. 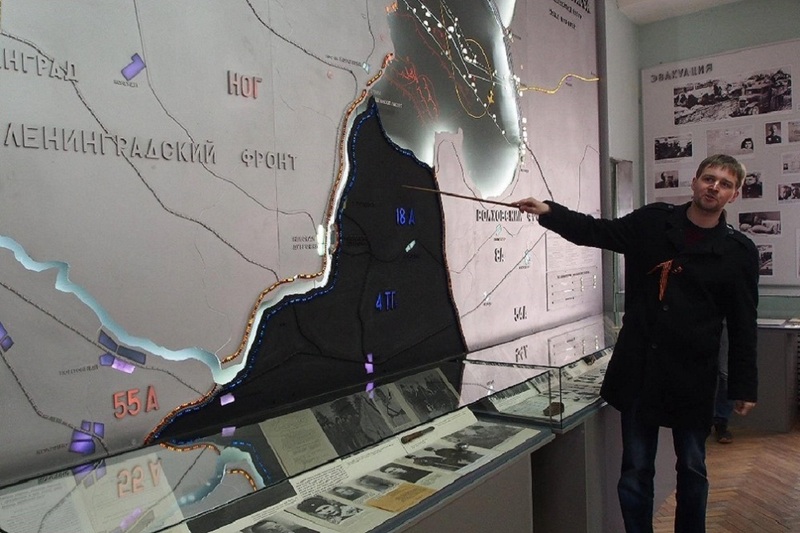 In 2009 Alexander conducted his first countryside battlefield tour by driving along the ‘Road of Life’ to the Ladoga Lake and then to the place where the Siege of Leningrad was broken through and to the Nevsky Bridgehead, a battlefield which can only be rivalled by Stalingrad in terms of the ferocity of fighting. In the following years he expaned his war history tours to the areas of Krasnogvardeisk Defensive Belt, where the fate of Leningrad was decided in September 1941, Kronstadt and the Oranienbaum Bridgehead. Alexander also conducts tours of the Mannerheim Line in the central breakthrough sector as well as Vyborg. He is also licensed do tours to to the city’s art and culture museums such as the Hermitage, State Russian Museum, Yusupov Palace and many others besides. MHT first started working with Alexander on their record breaking Operation Barbarossa 75th Anniversary Trip in June 2016 when we travelled up from the former East Prussia through the Baltic States to “Leningrad “as we followed one of the routes of Army Group North during the German invasion of the Soviet Union. When we arrived in Saint Petersburg Alexander amazed guests not only with his intimate knowledge of the detail of the military campaign of the Germans and the Soviet counter meaures and break throughs but also of the price paid by the citizens who inhabited the city during this painful time and how near defeat was turned into victory. In November 2017 Alexander led MHT’s ground breaking Russian Revolution 100th Anniversary Tour to much critical aclaim.